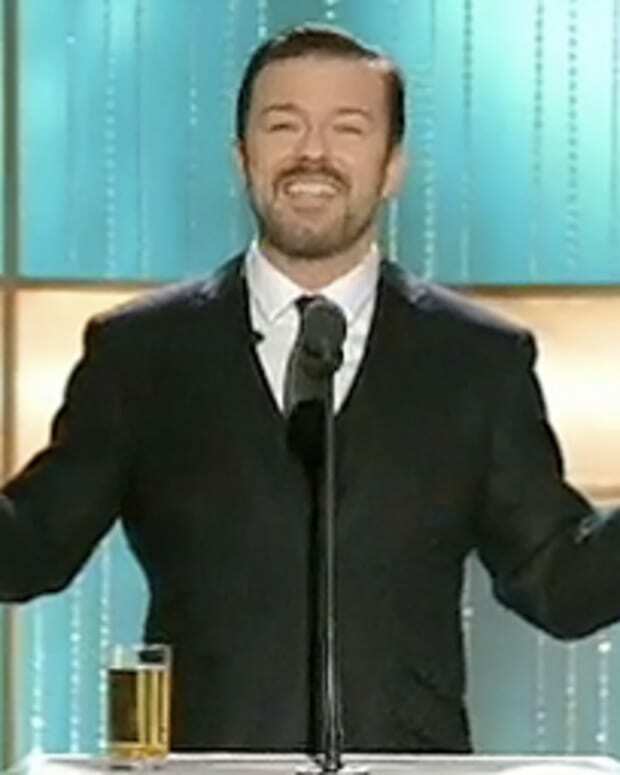 I think we were all tuning in to the Golden Globes Sunday night to see what Ricky Gervais would say. That&apos;s where I was expecting to be surprised and delighted. If I were going to gasp, it would be at something Gervais said. But then the Globes red carpet gave us all an amazing gift. Angelina Jolie and Natalie Portman in a "who wore it best" showdown worthy of every tabloid. And it&apos;s not just the striking similarity with the dresses. We also have the buns, the diamond earrings and the eyeliner. I&apos;d ask who you thought wore it best but it&apos;s really no contest. I actually feel kind of bad for Natalie Portman. Okay, fine. Who wore it best?